Should you buy or hire a container and you prefer having your container delivered by crane truck, you may request that from the container supplier or contact us directly. Transporting shipping containers using our crane truck means that we will make every effort in placing it where and how you would prefer it, along with our expert advice. Should you want to discuss your matter please forward us an enquiry email with some details and our experts will contact you to discuss your job in more detail. 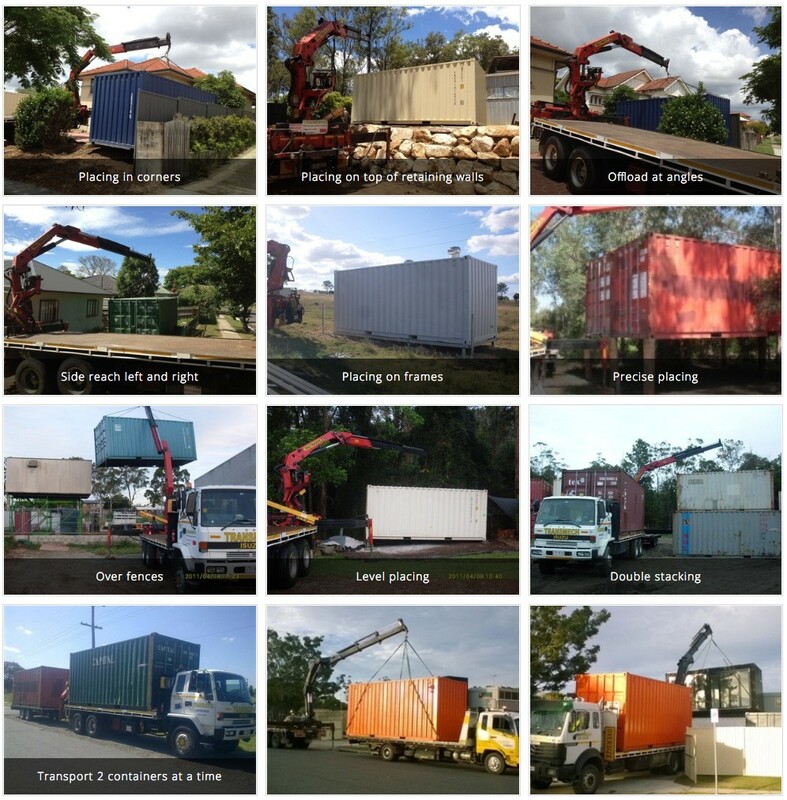 The pictures below in our photo gallery are just a few examples of where we can fit containers – the other guys can’t even get close!